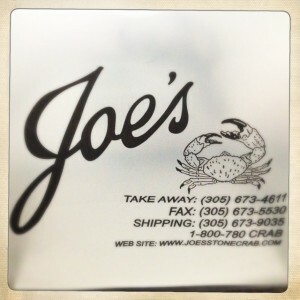 For more than 100 years, no visit to Miami has been complete without stopping in at Joe’s Stone Crab. The restaurant was opened in 1913, by Joe Weiss, who began his Miami Beach career by cooking at Smith’s Casino. 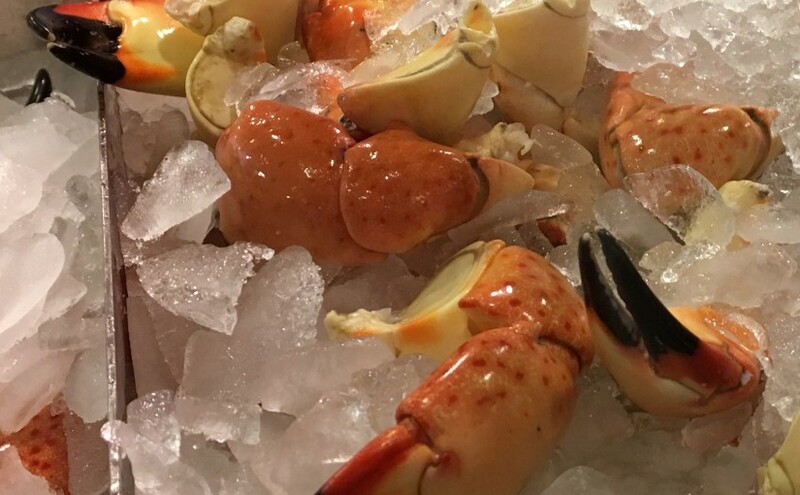 Joe’s is the top buyer of Florida stone crab claws, and it plays a significant role in the industry, influencing the wholesale price and financing many crabbers. Even though stone crabs are their most famous dish now, fish was served, rather than crabs, when the restaurant first opened. Joe’s Stone Crab is often visited by politicians, actors, and athletes. The restaurant is reputedly referenced in Ian Fleming’s novel “Goldfinger” as “Bill’s on the Beach” in which James Bond ate the best meal he had ever eaten in his life. 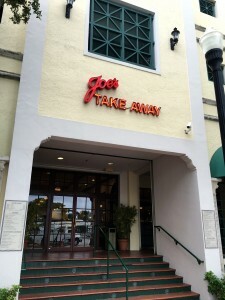 There are two sections to Joe’s – the Take Away section, although you can eat in too, and the main restaurant that offers a lunch and dinner menu. Joe’s Take Away, is the best of both worlds. The Take Away is casual dining serving three meals a day, 7 days a week with a coffee bar and private room, JoAnns, for special occasions. There’s a selection of breakfasts and speciality dishes available starting from 7:30am and yes Stone Crab is available for breakfast if you wish. They have seasonal opening hours that coincide with the Stone Crabbing season (Oct 15 to May 15). When the season is over, Joe’s Take Away closes and the main restaurant only offers a reduced dinner menu available in the evening. They also offer the famous authentic Key Lime Pie. You can buy them by the slice or alternatively take a whole pie away. This is a great option as you can freeze it until you need a piece (if it lasts that long!). The Florida Stone Crab is a delicacy known around the world. 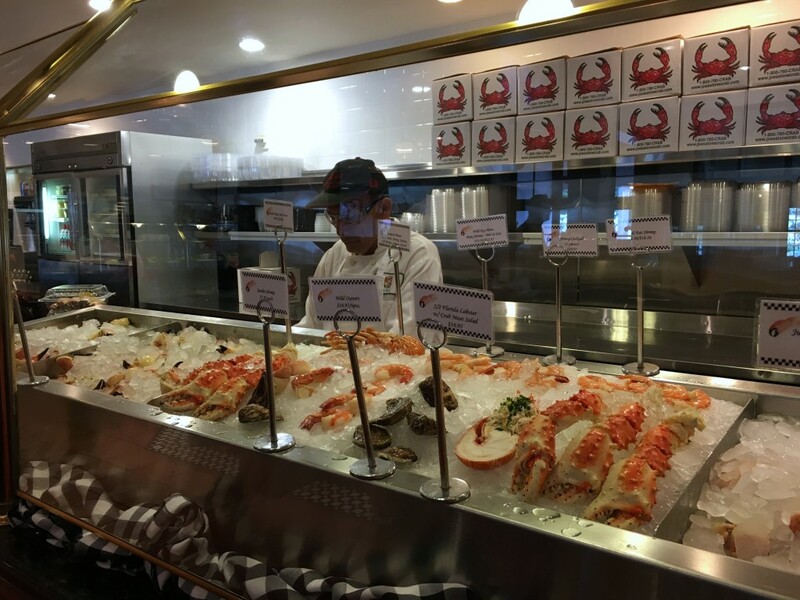 Its sweet taste and perfect texture, however, means its popularity has spawned a number of impersonators, including Pacific Rock Crab, Baja Stone Crab, Red Rock Crab and Japanese Crab (to name a few). Because these non-Florida Stone Crabs don’t have the benefit of the warm tropical waters of the Keys and Gulf, they are stringier in texture and much gamier in taste. That’s why at Joe’s Stone Crab they only serve the real thing. Florida Stone Crabs are found along the Atlantic and Gulf Coasts but are commercially harvested almost entirely in Florida. In the wild, adult Stone Crabs are easily recognized by their oval body and two large claws. The adult body of the Stone Crab is dark brownish red, more or less mottled and spotted with dusky gray. An interesting feature about the Stone Crab is the mark on the inside of the large claw that resembles a thumb print.